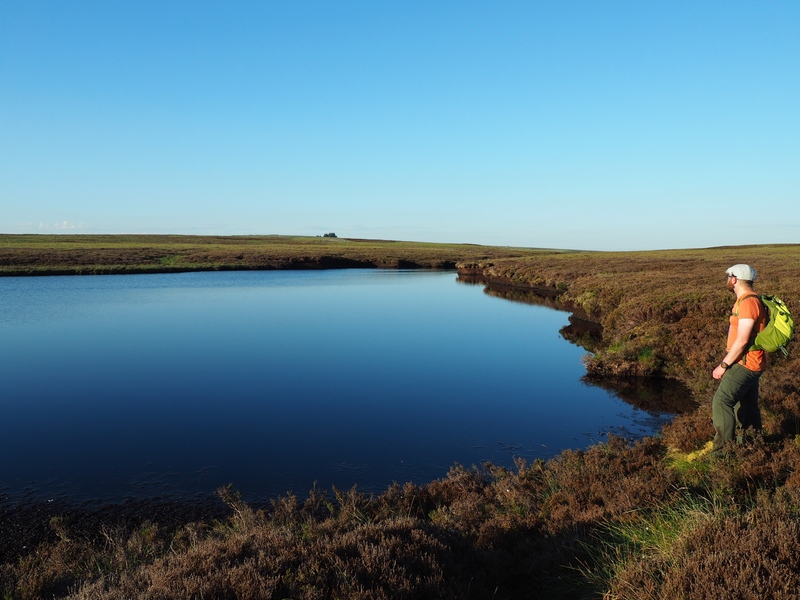 Blow Tarn is a seldom visited moorland tarn located on Pock Stones Moor right on the boundary between the national park and the Nidderdale AONB. Situated half a mile from Washburn Head, Blow Tarn is also, via the originally named Tarn Gill, a source for the River Washburn. 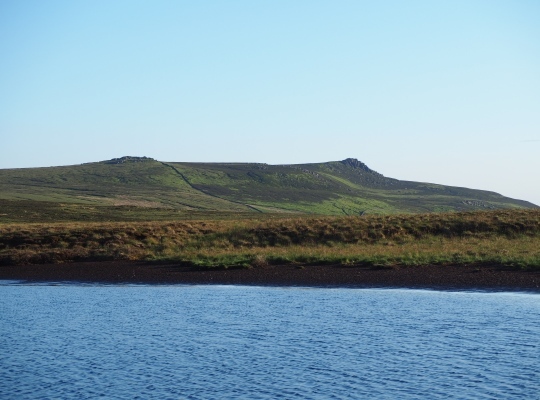 Views from the tarn include nearby Rochard Crags and, most impressively, a great view of the summit outcrops of Simon’s Seat to the south-west. When I visited the tarn it was on a bright summer’s evening in 2015. I took a long pathless approach from Greenhow via Katty White’s Allotments, the River Washburn and Rochard Crags. 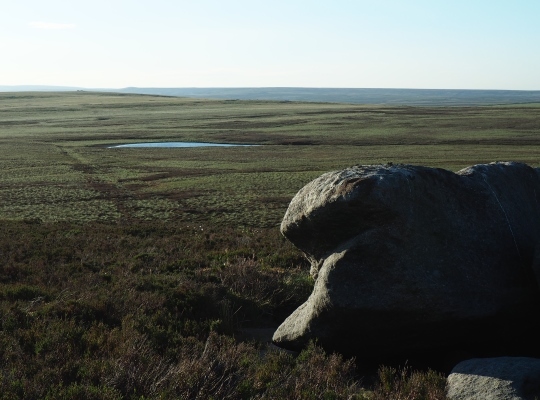 A much easier alternative would be a half mile detour from the Forest Road track which leads from Skyreholme into the upper Washburn valley via Little Pock Stones.